Vintage elegance with a modern twist, this beautiful rose gold crystal side tiara will adorn your wedding hair with romantic style. A sensational vintage inspired side tiara with a modern twist, our Heirloom Blush Side Tiara takes influence from both the 1950s and 1940s. Set on a blushing rose gold tone, this beautiful piece features an ornate floral design of flowers and open leaves bejewelled with sparkling clear Austrian crystals. Almost too pretty for words, Heirloom Blush is a stunning accessory to add a touch of yester year elegance to a black tie event, prom or special occasion. A fabulous alternative to a hat for a wedding or day at the races, team with our glittering rose gold jewellery for full on glamour. Brides who want to combine modern with vintage will adore this rose gold and crystal side tiara. Dress up a modern blush gown or emphasise the bygone style of a classic lace dress. 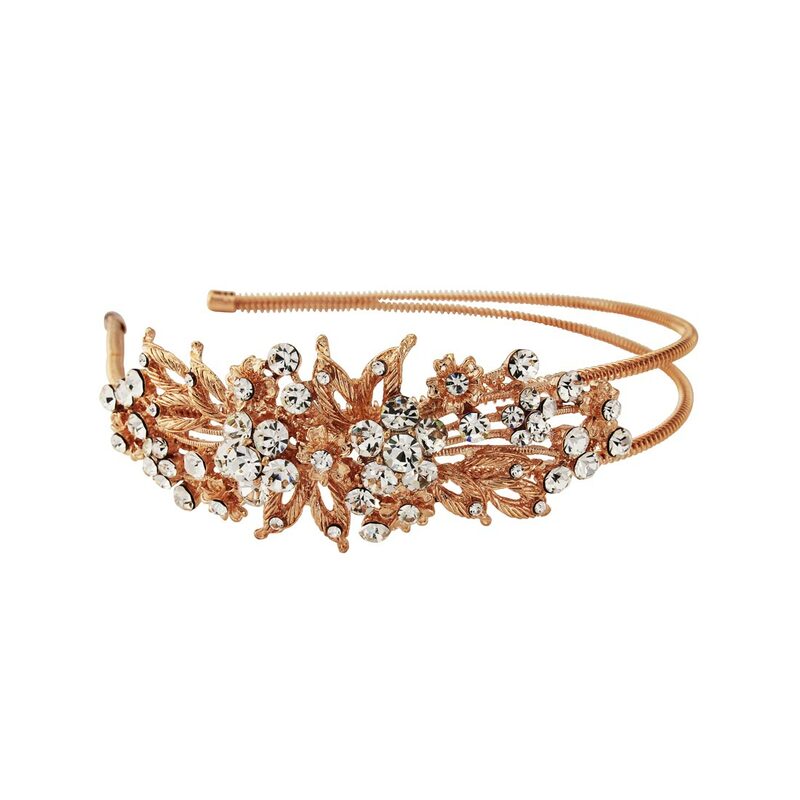 Don’t forget the rest of your bridal party as this headpiece is also fabulous to add the perfect finishing touch to your bridesmaid outfits.